Very Good meat restaurant !! Does what is promises, good steaks and (unlimited) ribs. 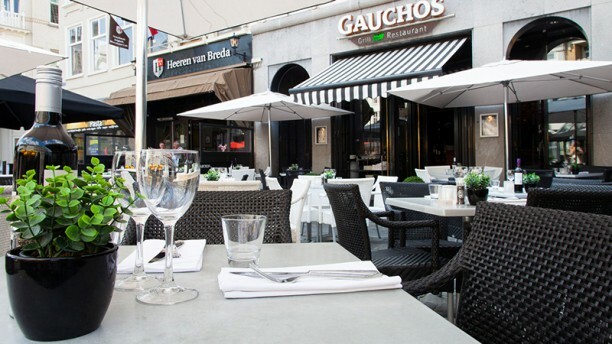 Gauchos Breda has a very warm atmosphere, very service-minded personnel and a fantastic quality of food. When you like meat, it is the place to be in Breda. Especially the spare ribs are of excellent quality, absolutely the best ribs in town! I am aware of the fact that Fridays are generally busy that is why I put lower marks for noise and the service speed. We used to come here when we lived in Breda 3 years ago and loved it then. It’s gotten even better. Gorgeous food. The food was amazing, the steak was very tender an tasty. The place was a little too noisy, but overall was a great experience. Good service and gentle attitude. Nice red wine. Ribs tasted burnt. It wasn't the greatest ribs. Food was excellent and the rib eye stake melted in your mouth. Service was every good as the staff were always on hand. Real nice atmosphere. Good food.